Warning: Some of these ideas may be offensive. Disclaimer: I am pro 2A and believe it is everybody’s right to be able to bear arms. What you do behind this right is where I have a problem. OK, you bought a gun (or 15). Congratulations! You are now a gun owner. You took the cheapest most convenient CCW class you could find. Awesome, now you can carry. Now what? Time and time again I run across a person who fits the above description and that’s the end for them. I used to be one of these people. It’s true, it is our right to own and carry firearms but do not stop here. Would a boxer buy gloves and just keep them around with him just in case one day he was going to have a fight? Absolutely not! He would train with them and become as proficient as possible so when that day came he would have his hand raised. If you are carrying a gun around with you then you know the stakes in your fight are much higher than a win or loss. It is life or death. You will not rise to the occasion. You will rise to your highest level of training. We are also responsible for every single round that leaves our chamber. If you are the type that goes to the range once or twice a year and are not putting shots exactly where you want them, what makes you think that you are going to have well placed shots in the MOST stressful situation of your life? If you are missing your target you are hitting something else. It would be a terrible thing if that something else was another innocent bystander. We are seeing more cases in the news of unjustified shootings. Legal concealed carriers not knowing their laws and taking lives of others over some pretty cut and dry situations. These incidents give us all a bad name. Gun control is in the spotlight enough as is. Do not give these anti gunners more ammo for their cause. Shooting is a perishable skill. Get some good solid training from multiple sources. Hit the range frequently. Get into a dry practice routine. Challenge yourself to become better. Get some medical training. Know your state and local laws. Be an ambassador to the lifestyle. Just please, do not settle on being a gun owner. Picked up this HR1 for my EDC. Pumped! Little clip from Sunday’s class. Moving backwards using an alternate sight picture and working through malfunctions. #defensivehandguntraining #ccw #conceal1 #edc #everydaycarry #donttreadonme #2a #Repost @erin_gunther_ with @get_repost ・・・ Obviously I’m a little bias cause @jamhk is a good friend of mine. 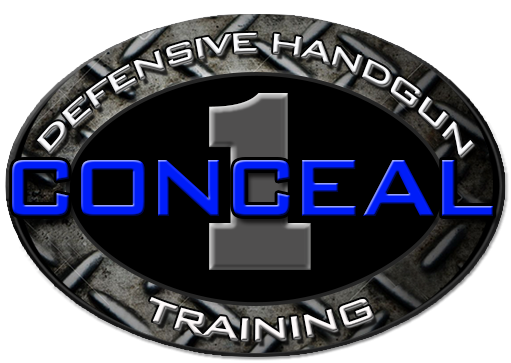 But bias aside 🤪, his @conceal_one CCW course is 🔥 Hit him up to get in on his next class. I’ll probably see ya there so I can keep honing in on my skills. #practice #drills #ccw #mastergrip This is a drill, the jams are from snap caps. I would’ve never thought to practice this on my own. We did the damn thing today. Great group!